Diversified supplier Martinrea International Inc. strives to be like Casper the Friendly Ghost, CEO Pat D’Eramo says. The Ontario-based company is in the midst of a massive reboot, digesting the acquisitions that spurred rapid growth and making its manufacturing process leaner. The goal is to make the company so effective and productive that heads of automaker assembly plants don’t even know certain parts were produced by Martinrea, D’Eramo said. “If we can become like Casper the Ghost, meaning they don’t know who we are until they need us, then we’re in a good position,” he said. 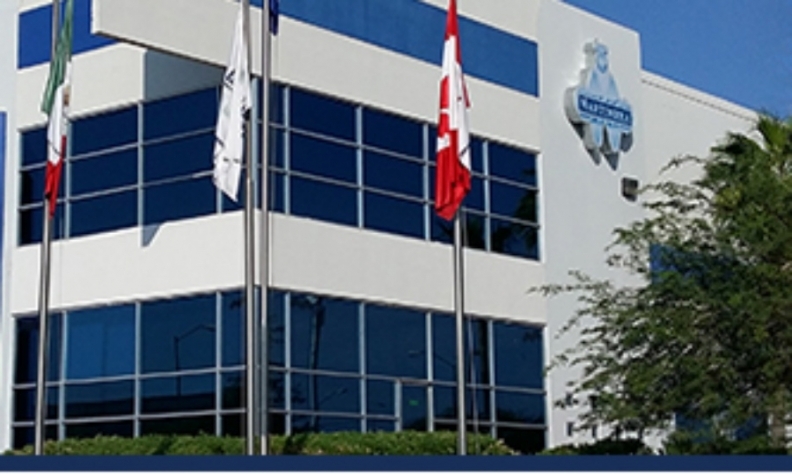 Martinrea is one of the largest and fastest-growing auto suppliers in the world. Beginning in 2001, it ranks No. 70 on Automotive News’s list of the top global suppliers by 2016 annual sales. The company is traded on the Toronto Stock Exchange. Growth has been fuelled by a host of acquisitions, particularly in metallics, fluid management systems and aluminum. Most recently, in 2014, Martinrea completed a takeover of aluminum-components supplier Honsel AG. Martinrea began as Royal Laser in November 2001. Following the acquisition of fluid-management-systems supplier Rea International Inc. in 2002, the company changed its name to Martinrea. It acquired several more companies in the ensuing years, including metallics suppliers Depco International and SKD Automotive. The acquisitions allowed the company to gain expertise in lightweight materials and emerging technologies, D’Eramo said. The problem was that the plants were too often inefficient, he said. D’Eramo, a former vice-president of manufacturing at Toyota, was hired, in part, to fix that problem. “I worked at Toyota for 10 years, and I’d been to a lot of really good suppliers in my time,” he said. “Some of the plants I walked into during my first week [at Martinrea] were some of the better plants I had seen. And also some of the worst plants I’d seen. Drawing upon his experience, D’Eramo worked with other Martinrea executives to develop a flexible manufacturing model. He said the idea is to make worker assignments more flexible on the line. Instead of having a set number of workers on a particular assignment, they can be flexed in and out of stations depending on need. Also, parts are delivered to and taken from work stations in short intervals — every hour, for instance — instead of workers having to pile up parts in large bins next to where they work over the course of their shift. With less space needed for each worker and no need for forklifts to take large bins away from them, plant space is used more effectively. For Martinrea’s Vaughan, Ont., plant, which builds much of the lower frame for the Chevrolet Equinox, floorspace use is up about 28 per cent, while labour costs have fallen by about 16 per cent. He said having more flexibility to adapt to automakers’ needs puts Martinrea in a better position to become more like Casper; an invisible but reliable supplier. Martinrea Executive Chairman Rob Wildeboer said that flexibility will be key for the supplier moving forward as automakers demand lighter parts and electrify more vehicles to meet stringent fuel-consumption regulations. He pointed to the Vaughan plant as an example, saying GM was able to reduce the weight of the redesigned Equinox by about 10 per cent thanks partly to the lightweight parts Martinrea provides. Still, the supplier is not betting entirely on electric vehicles and hybrids. Wildeboer said there will still be a future for the internal-combustion engine, especially in North America, even if it constitutes a smaller share of overall vehicle sales. Wildeboer would not rule out future acquisitions as a way to expand the company’s reach and products, but Martinrea could accomplish similar goals through partnerships, particularly start-ups and electronics companies. “Other industries have done things better traditionally when it comes to combining expertise and talent than the auto industry has. “But we’re now seeing a lot of collaboration, sometimes between [automakers], and as they partner with Silicon Valley, we have to do that.